There are 10,000 possible passcodes for an iPhone, yet 15 percent of users have one of the 10 most popular codes, according to app developer Daniel Amitay, whose Big Brother Camera Security app records anonymous passcode data from users. 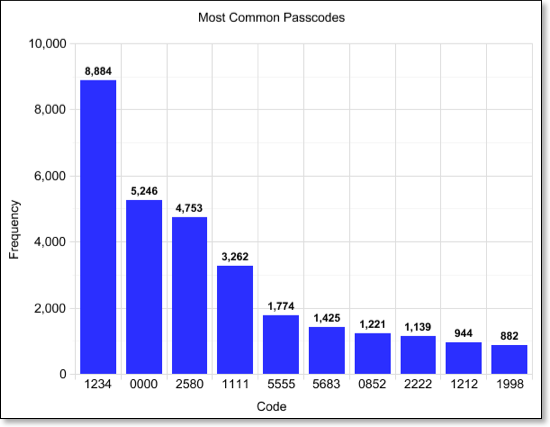 "Because Big Brother's passcode setup screen and lock screen are nearly identical to those of the actual iPhone passcode lock, I figured that the collected information would closely correlate with actual iPhone passcodes," Amitay wrote on his blog. If you're wondering why 5683 appears on the list, then look at your phone's keypad - those numbers spells out "LOVE." 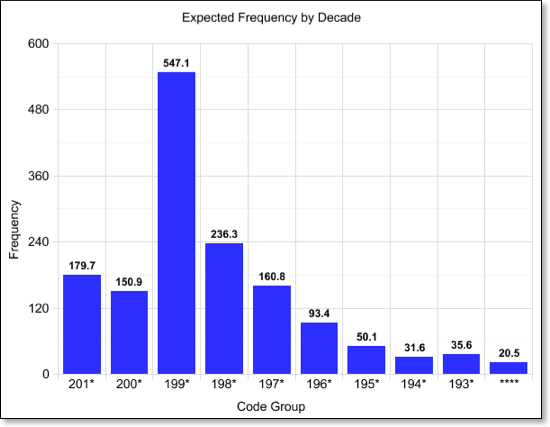 Years are also popular, with 1990 to 2000 all in the top 50 passcodes and each year from 1980 to 1989 making the top 100. Amitay speculates that many users use graduation or birth years for passcodes. The graduation part of that argument is bolstered by the fact that the third-most popular decade for passcodes is the 2010s. The bottom line is that a scary percentage of iPhones are probably not well protected, or as Amitay puts it, "With a 15 percent success rate, about 1 in 7 iPhones would easily unlock -- even more if the intruder knows the user's years of birth, relationship status, etc."